Okay, I've been terribly lax in my blogging lately. Here are a couple of things I've been meaning to get to for quite some time. First up, Christine tagged me with a meme weeks ago. So here are my answers to: Why do knitters have blogs and read blogs? I guess I have a blog for a few reasons. I've always liked to write and always considered myself much better at writing than I am at speaking. When I first began reading knitting blogs, I thought to myself "I could do this", and my blog was born. Having a blog is a great outlet (for knitting and for non-knitting). I've always loved working on the computer as well. 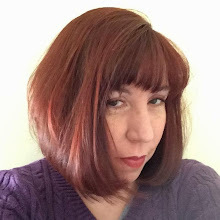 I love learning HTML basics, setting up my blog, making my banner and button, and dreaming of the other cool stuff I may someday learn to add to my blog. But I could have any kind of blog and satisfy my writing and computer itch. I have a knitting blog for a few reasons too. 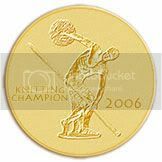 I don't know any "real life" knitters, so my blog is a place I can show my stuff to people who understand knitting. I can share my mistakes and achievements. I can get feedback from people who know knitting - as opposed to my feedback from Sweetpea who is biased and thinks everything I knit is the most wonderful thing in the world. So why do I read blogs? The first reason is because there are so many wonderful blogs out there to read!! The people who write my favorite blogs feel like personal friends to me. Also, blogs are a great place to pick up tips and techniques I might never have discovered out here on my own. I may be "(mostly) self-taught", but the rest I have learned in cyber-space! I love to see what everyone else is working on, and I get so much inspiration from the knitting of others. I can't imagine not knitting, blogging, or reading blogs. It's like my life had been lacking a passion, and now I've found one again. Okay, part two. Does everyone remember Lolly's collector post from the beginning of November? Is it too late for me to post pictures of my collection? I hope not, because here they are!! 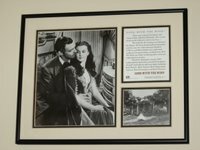 My all time favorite movie and book is Gone With The Wind. So I seem to have amassed some GWTW "stuff" over the years. I have figurines. And I have the plates. This isn't even half of the plates. There are more "in storage" - ie, with the stuff still at my parent's house that I haven't "had time" to get in the 6 1/2 years since I moved out!! 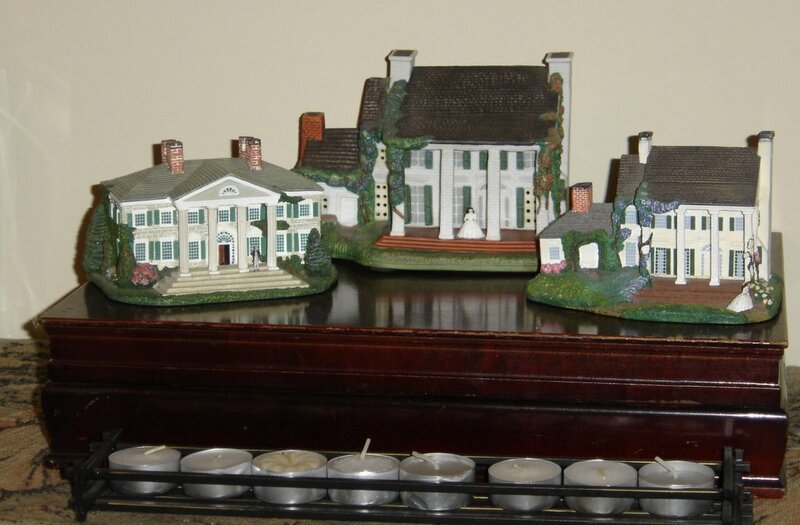 I also have a collector's edition book, the movie on tape and DVD, the soundtrack, picture books, music boxes, a GWTW cook-book, Barbie-size dolls of Rhett, Scarlett and Mammmy, gosh, the list goes on. (I couldn't imagine trying to upload all those pictures, so you'll have to take my word for it.) There is a fine line between "collection" and "obsession"!!! the line is blurry one indeed. blogs are great. if all the other knitters in blog land are going insane, then you're relatively normal. :) knitters are great people. albeit, psychotic OCD masochists at times, but great people nonetheless. 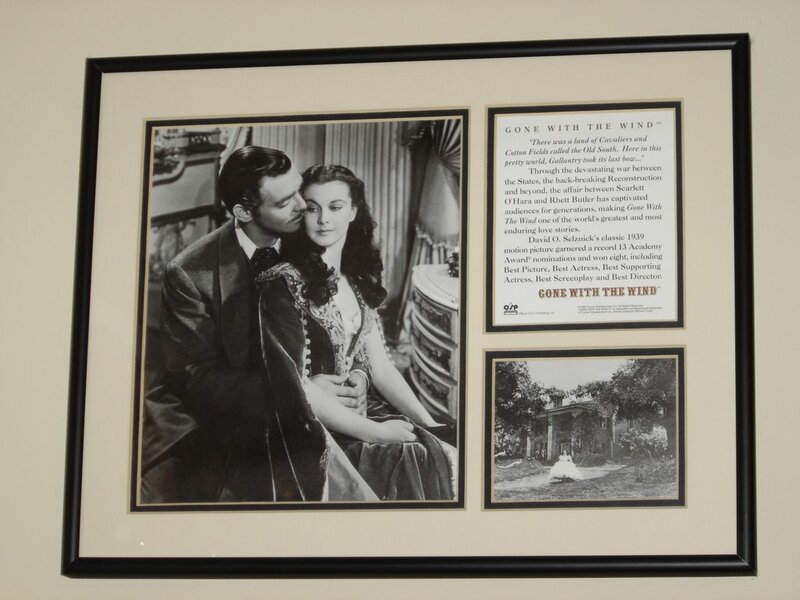 Holy moly...and here, I thought I was a GWTW fan! I love your collection, but I think I love most the "As God is my witness" plate of Scarlett...she's such a badass! hey, my mom has the first plate of Scarlett at Twelve Oaks with her suitors. I have to admit, I LOVED her dress. But I liked Rhett better in the book. 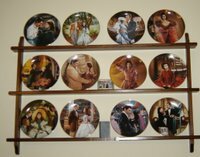 you really are a GWTW fan! For thinking that everything you knit is the most wonderful thing in the world, Sweetpea is definitely a keeper. ;-) Hairy Legs just gets a kind of glazed look in his eyes whenever I show him the knitting. I feel the same way about my blog pals being personal friends, including you. 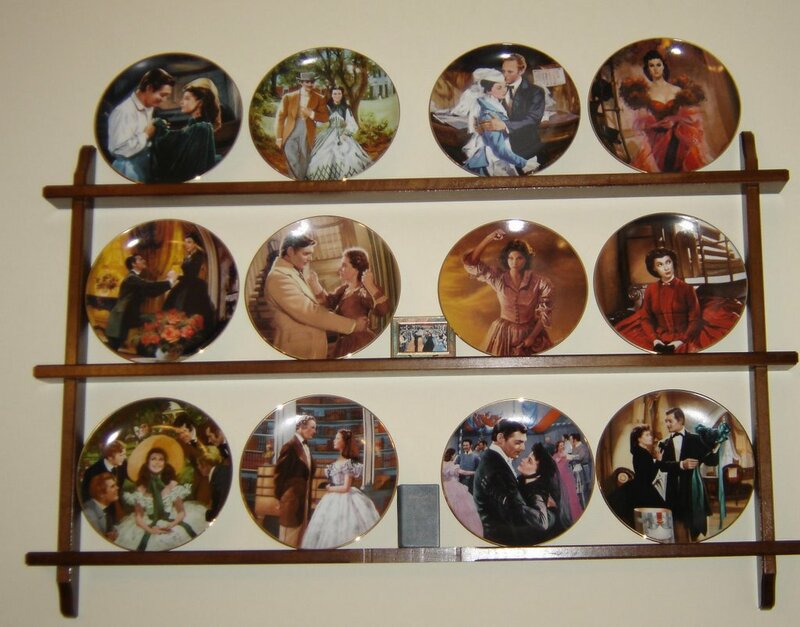 :-) OMG, your Gone With the Wind collection is FABULOUS!! One of my all time faves. I love the plantations. I loved the name "Tara" so much that I considered naming Stinky that. (But didn't.) Fantastic collection- I'm envious!! Yea!!! You are one of the few people that "flashed their collection" after my post. Thank you for doing so! I so enjoy finding out what my friends collect and hold dear. What a neat collection too! I really need to see this movie again... it has been years! You are right about the collection/obsession! ;) I just got 5 new pomegranates for my collection this weekend - I was supposed to be shopping for others!! Well, your words about blogging pretty much sum it up for me, too. I know SO much more about knitting now than I did pre-blogging. And if I need advice, I always know where to go! 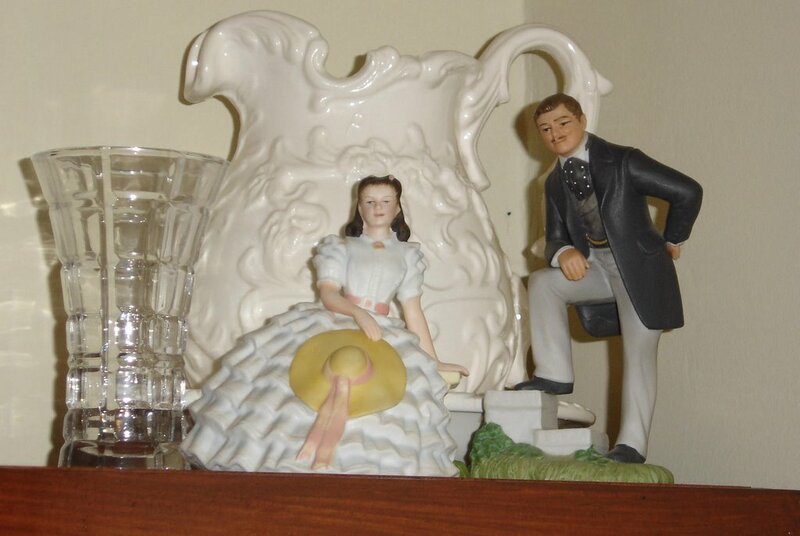 I have to confess, I've never seen GWTW so your collectibles are a bit lost on me. One of these days...it's on my list! I love collections, mostly because I've never had one of my own. I've tried at various times, but got bored or forgot about it, etc. I'd have to say the closest thing to a collection I have is lipgloss and this certain colour of pink lipstick. Honestly, I have enough now to last me my ENTIRE life (and I'm just a youngun'), but I still have to buy more whenever I see some I want/like. Like for real, why does a person need 15 different kinds of the same shade of golden rose lipstick??? And something up there that Jill said made me think. There must be something about knitting that calms the OCD in us and that's why we like it so much. Maybe it's the fact that it's repetition of something until it's perfect and that compulsiveness is actually socially acceptable because otherwise the knitting piece is a mess. Just made me think anyway. Did I ever tell you that one of the main reasons I act is so I can wear giant gowns like the ones in Gone with the Wind? It's true. I like to dress up.